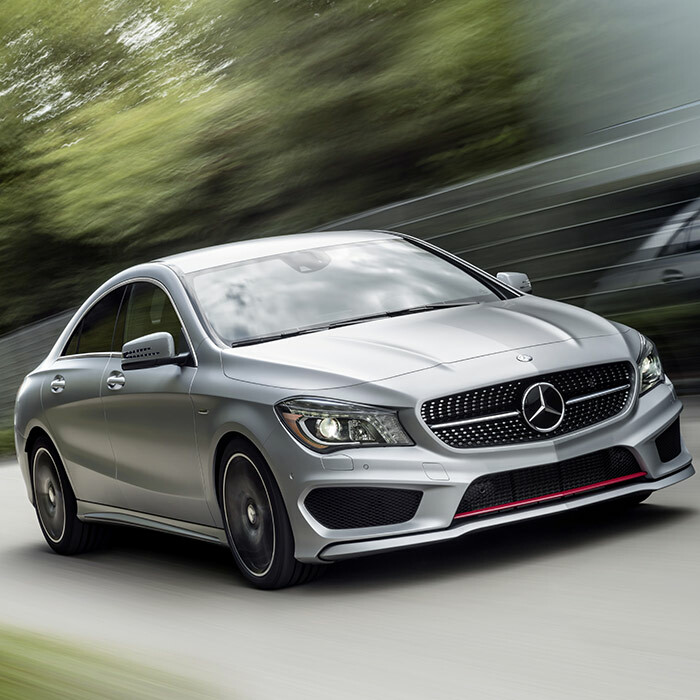 Mercedes-Benz of Union is thrilled to announce the arrival of the 2016 Mercedes-Benz CLA! This new luxury car incorporates revolutionary engineering to deliver an exceptional performance and a breathtaking style to captivate the crowds. Few models come close to its outstanding caliber. You can now claim this fantastic model as your own at our Mercedes-Benz dealership in Union, New Jersey. Just make your way from Staten Island, Westfield, Plainfield, and surrounding areas to our Mercedes-Benz dealership in Union, New Jersey, and witness the stunning 2016 CLA in person today! 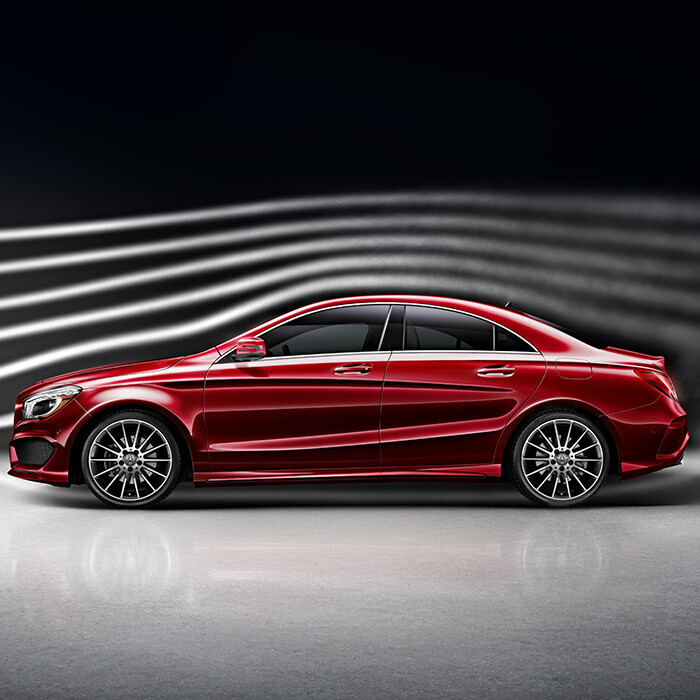 Glamor comes naturally for the new Mercedes-Benz CLA. Its irresistible curves and smooth roofline are a complement to its graceful, aerodynamic movement on the road. Led forward by a bold front fascia, complete with brilliant headlights and the famed Mercedes-Benz symbol, this model is best described as a show-stopping work of art. This remarkable charm is rivaled only by an equally lush interior. As a standard, the cabin is richly appointed with premium upholstery, but can be enhanced even further with optional leather materials and elaborate wood trim. A favorite addition among consumers is the Power Sunroof that gives a tranquil view of the sky overhead. The CLA lineup consists of three models—the CLA 250 Coupe, the CLA 250 4MATIC® Coupe, and the AMG® CLA 45 Coupe—so be sure to compare the similarities and differences to find the model that matches your personal style best! 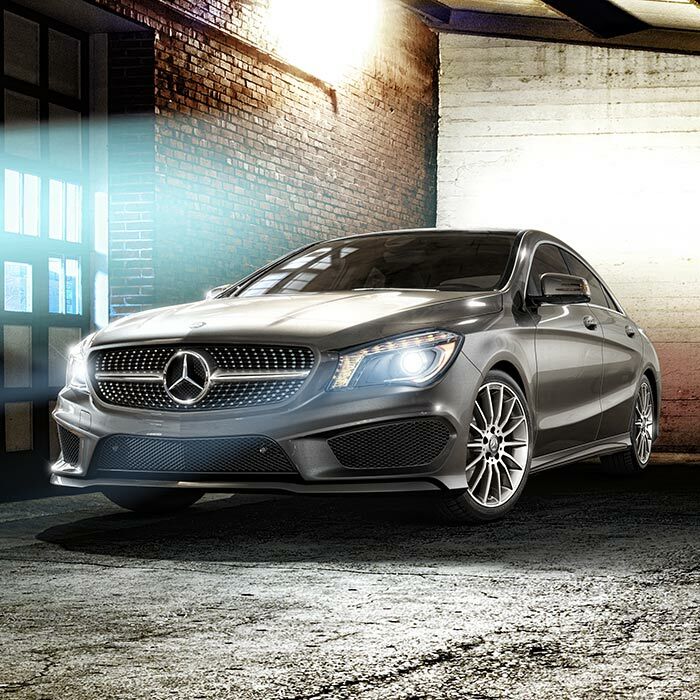 Along with an extraordinary appearance, the 2016 Mercedes-Benz CLA comes with plenty of performance-driven components to provide a sensational driving experience. 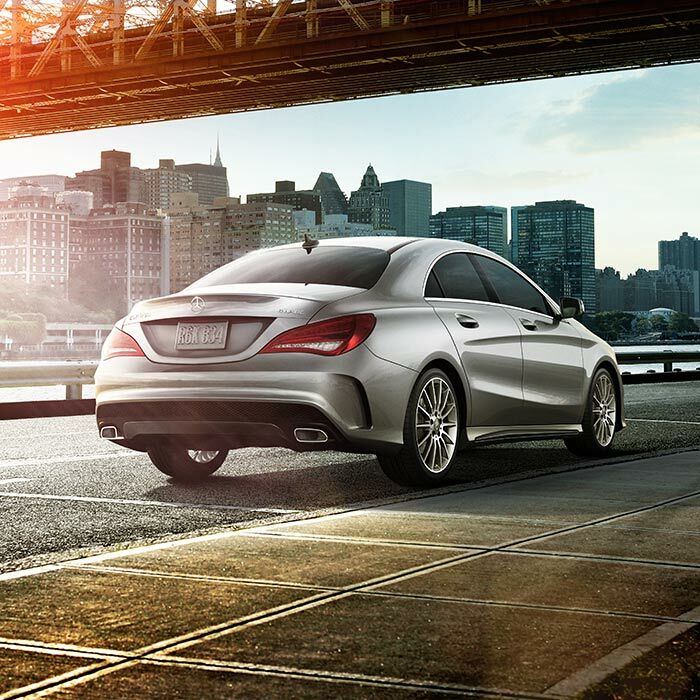 Both the CLA 250 and CLA 250 4MATIC® Coupe come with a 2.0L turbocharged engine that generates 208 horsepower. Working in coordination with ECO Start/Stop technology, this engine modulates fuel use to provide greater efficiency. Meanwhile, the AMG® CLA 45 Coupe comes exclusively with a Handcrafted AMG® 2.0L engine that exerts an impressive 37 horsepower. Bestowed with this incredible firepower, your model will accelerate and reach new heights in a matter of 4.1 seconds! * Combine these excellent components with its sound construction, including a refined chassis system, the new CLA offers greater agility and control wherever you travel. 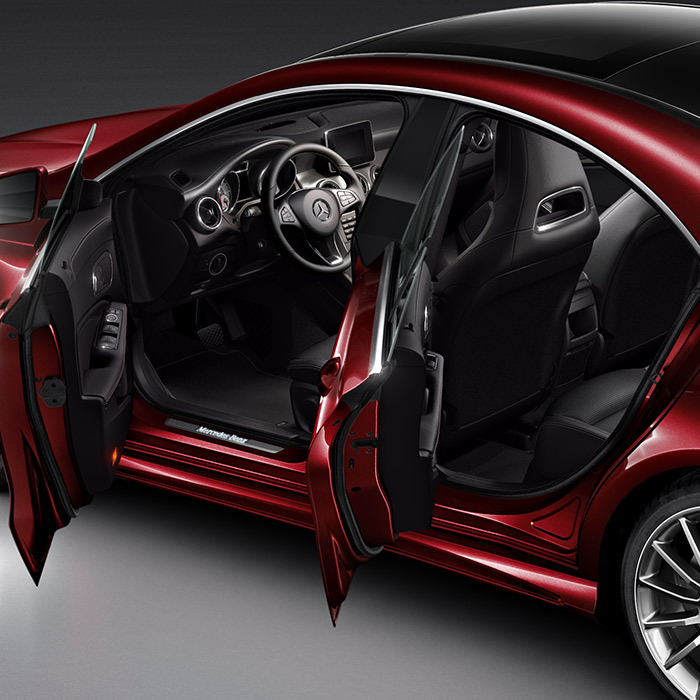 The new Mercedes-Benz CLA is integrated with the latest technology and gives convenience like never before. Using the standard Mercedes-Benz infotainment system, you can connect a compatible mobile device via Bluetooth®* and shuffle through your favorite stations and tracks more easily. But there’s more to the technology in the new CLA than for entertainment purposes alone. This model is reinforced by several safety features including the innovative ATTENTION ASSIST®** that helps you stay alert and focused on the road ahead. Read more about the safety features equipped with this model by browsing through the official 2016 Mercedes-Benz CLA site! At Mercedes-Benz of Union, we are passionate about what we do! We take your satisfaction seriously and will go the extra mile to make sure you get behind the wheel of a Mercedes-Benz CLA that you will wholeheartedly appreciate. So what are you waiting for? If you live nearby in Staten Island, Westfield, or Plainfield, this is your chance to visit our Mercedes-Benz dealership in Union, New Jersey, and get an extraordinary new CLA to call your own! If you have any questions regarding this model or would like to know more about our dealership, feel free to speak with one of our associates by calling us at (877) 861-3466 or filling out an online contact form! Otherwise, feel free to get the process started and apply today to get one step closer to owning your very own CLA. Just imagine—a fantastic ride is right within your reach!